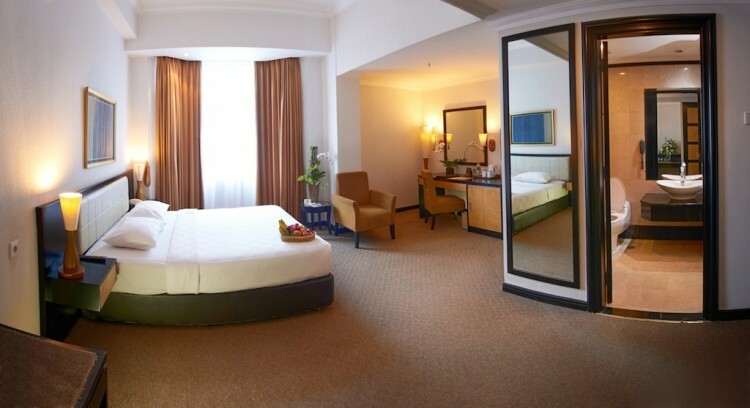 Feel the magic of relaxation while experiencing majestic room dominated by classical modern touches. 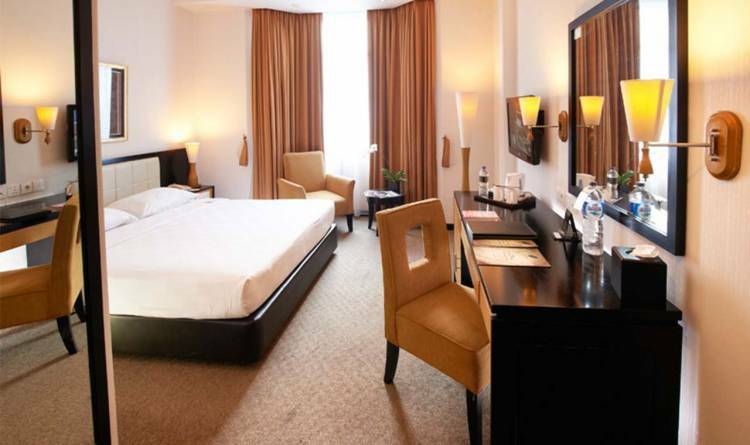 Enter the extra spacious dimension with high ceilings, large windows supported by state-of-the-art facilities. 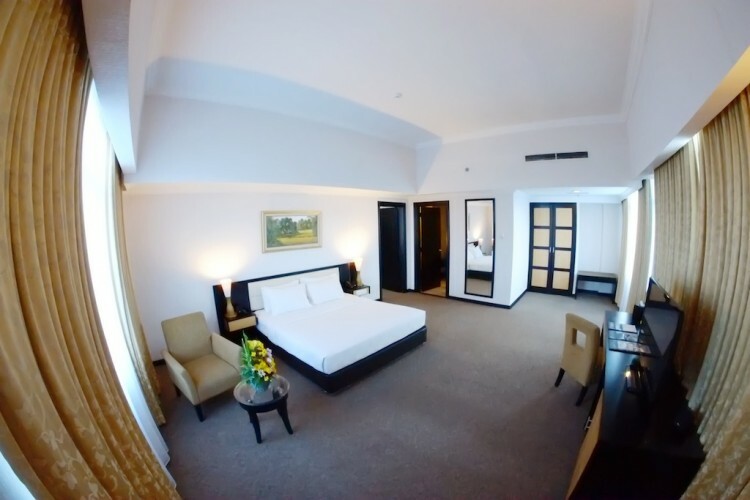 Grand Jatra Pekanbaru provides 200 rooms and suites with excellent service. 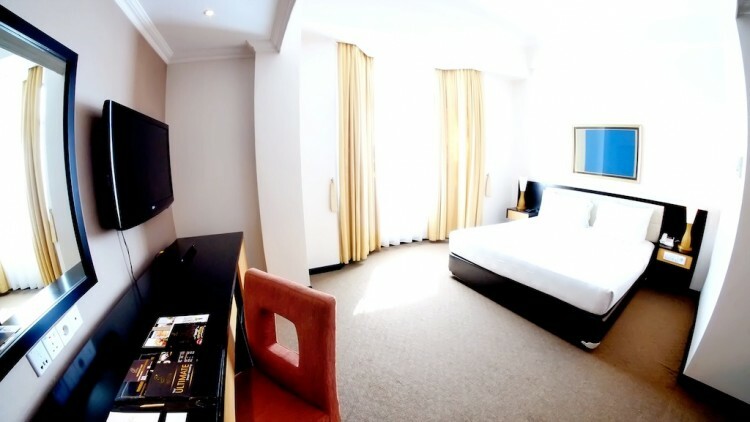 Guests will be spoiled with 24-hour room service in the room, high-speed WiFi connectivity, panoramic city harbor scene and magnificent swimming pool view. Find the country’s most prestigious heritage in every room through magnificent appearance of Songket, a traditional Indonesian fabric ready to welcome our local and foreign guests. Infuse in unlimited space lavishness with large windowless rooms and high casement leaving you the expression like visiting Malay king's palace. 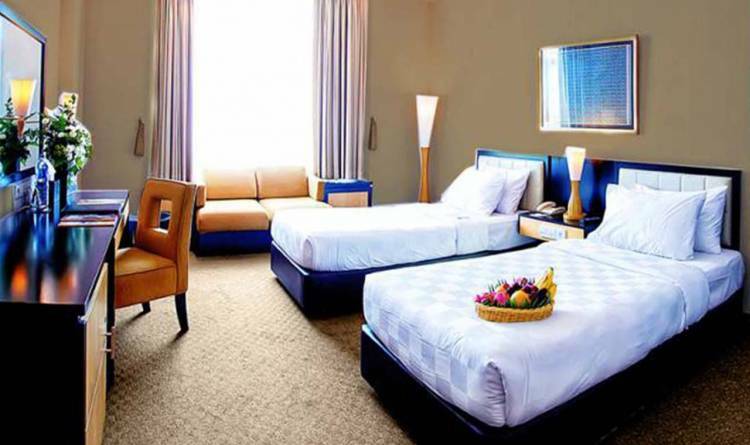 Explore variety room choices which suits your level and relish ultimate comfort with our eminent amenities and services. 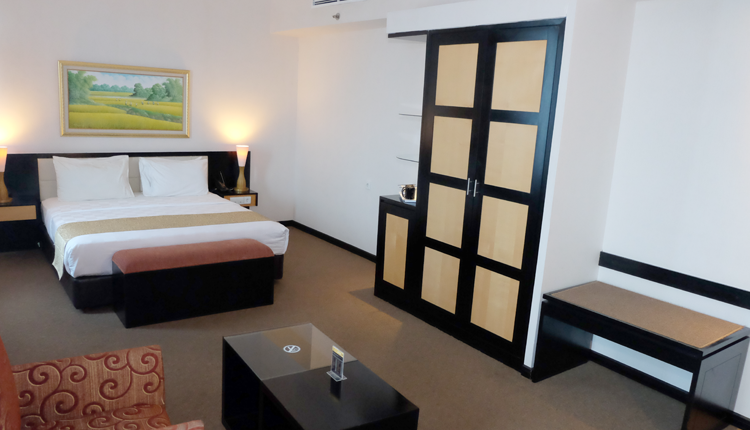 This petite and fancy 25sqm room is customized to impress your short trip within the city. 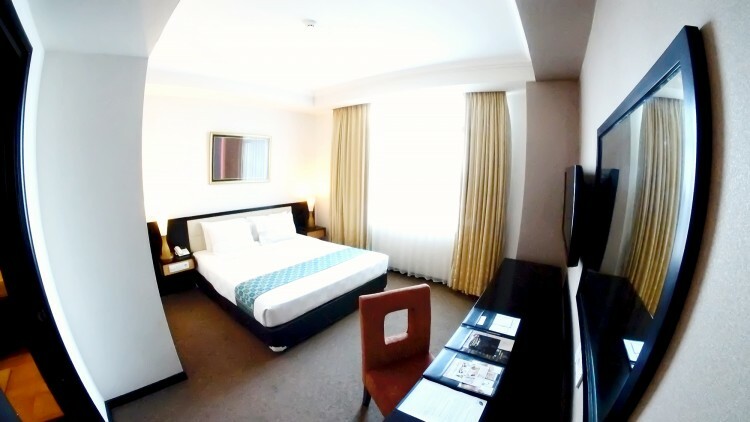 Zeal yourself in this warm and stylish room which accomodate up to double occupants. Traveling with friends or small groups is certainly excited, therefore this smart space-room able to create flexibility without leaving intimacy. Featuring a large windowless room overlooking a beautiful pool view and elegant minibar, the 30sqm room will answer your desire for a exotic residence. Be prepared to create an incredible experiences in the best rooms in the city. 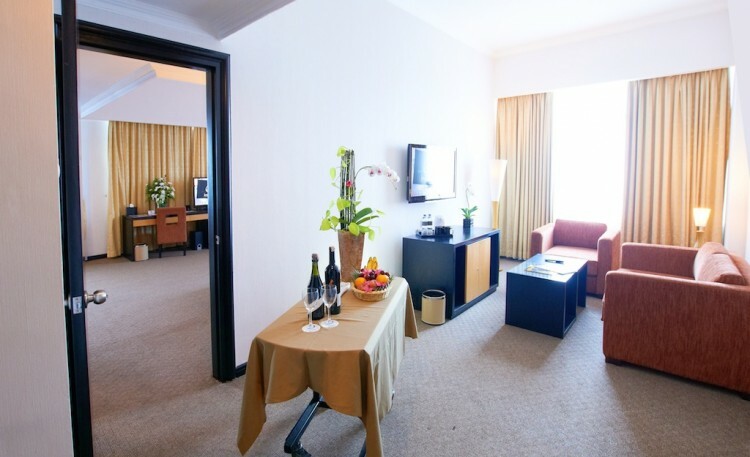 The rooms offers grandeur comfort for your guests by providing an extensive living room which able you to move freely. We provide perfect amenities from private TV set in separate living room, sofa seats adequate up to 4 guests, separate toilet for guest. 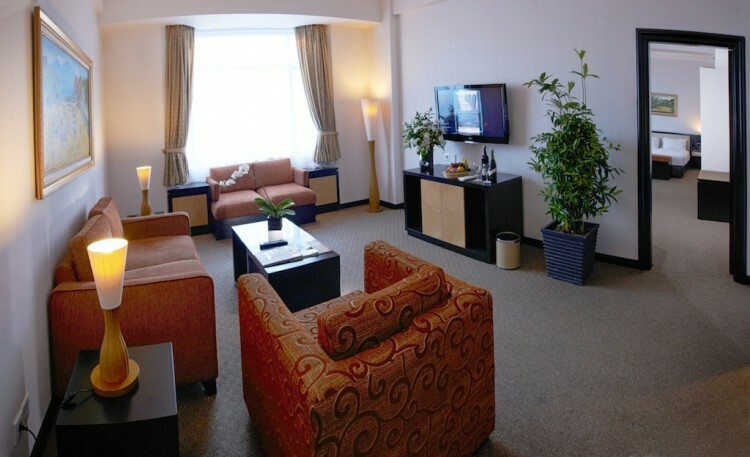 Each of Junior Suite equipped with CD / DVD player and stereo system, wireless telephone set, coffee and tea maker facility, private shower room, mini bar fridge, in room high speed wifi or rj 45 internet connection, a large 42 'TV with satellite Projections of over 50 local and international channels. An added value for a wonderfull trip is eligible for every guests who stay in Grand Jatra Pekanbaru. Large group and family are most welcome in this fantastic room. The ending journey for the foremost occupancy in town ends here. Nestled at the edge, with the perfect access to stunning urban view equipped with first class facilities deserves to be an unforgettable experience. 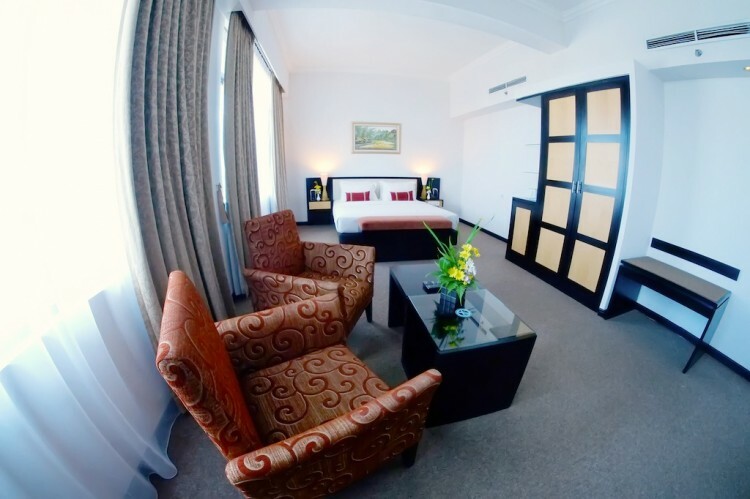 For first class business travellers or sightseeing travellers who want to feel the utmost comfort, this room is worth to be your second home. Offering the best facilities include super spacious living room, separate toilet for guest, private shower room, and multimedia entertainment. 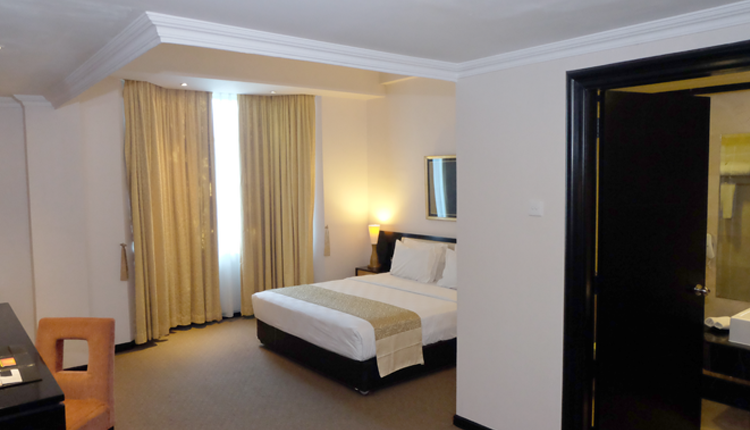 The room is sheer perfect for elite businessman who needs an intimate privacy and comfortable space for work. 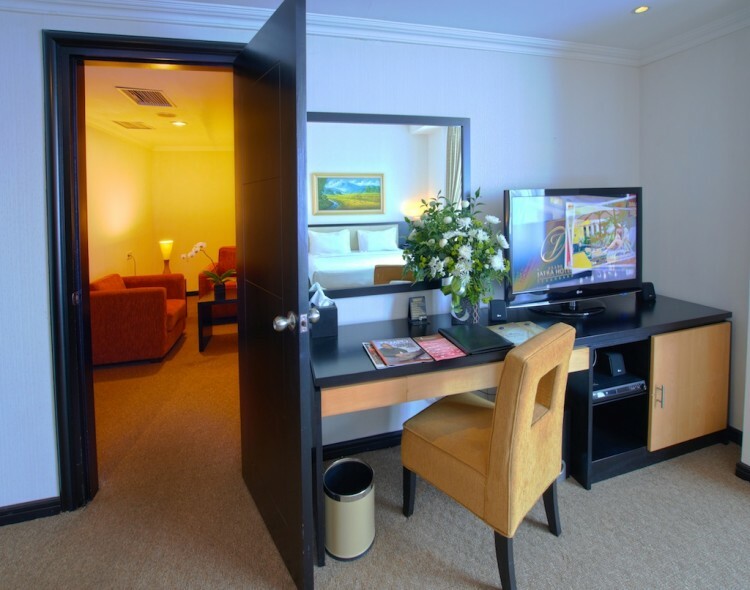 Each Executive suites completed with 42 "LCD TV with satellite direct from 50 local and international channels, minibar fridge, coffee and tea maker facility, safety deposit box, and super high-speed internet connection connection via WiFi or rj44 cable.